Ferrari failed to offer Sebastian Vettel suitable support and protection amid his error-prone run in 2018, according to former F1 racer Pedro de la Rosa. Vettel saw his championship hopes go up in smoke with a string of mistakes including a heart-breaking spin off at his home race in Germany. While Lewis Hamilton embarked on a run of six wins in seven games to move into position to take out his fifth world title, Vettel dropped significant points – failing to finish in Germany, before missing out on the podium in Italy and Japan after costly collisions. 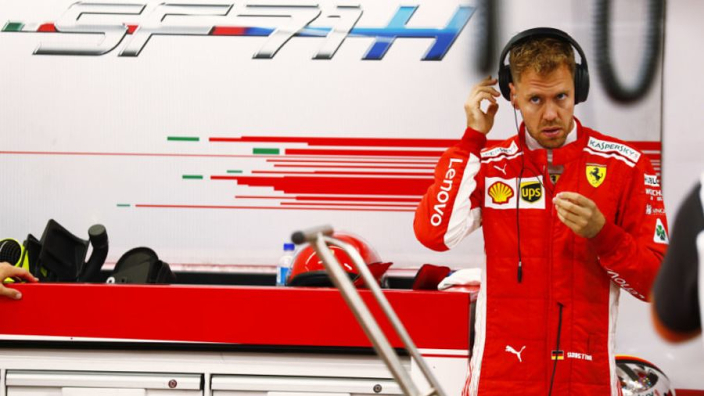 Italy's motorsport media savaged Vettel after each misstep and De la Rosa – a former Scuderia development driver – says the team should have done more to publicly defend the German. He told El Confidencial: "During a driver's career mistakes are made and your team is obliged to protect you, even more so at Ferrari, and if they don't then the pressure on the driver intensifies and becomes very difficult for him to handle. "I remember when he crashed out in Germany, that race was won by Hamilton from 14th on the grid. This was a very telling blow to Vettel because it was he who made the mistake that everyone saw. "At that time of need, I didn't see the team defending their driver. I did not see it… Then came Monza, where Hamilton dramatically overtakes him and then wins the race. "I think given the pressure that Vettel was under at that moment, I would have expected public defence of the driver by his team. Maybe he got support internally, but there needed to be proof of this support in public to relieve the pressure, especially from the Italian media. "At times like this, it's harder to win with Ferrari. The moment something goes wrong it is very difficult to be focused and keep a cool head."